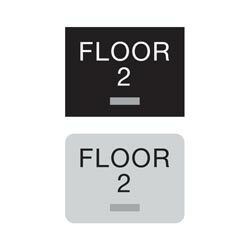 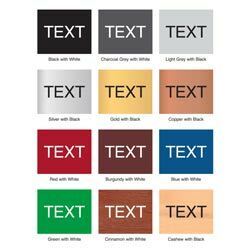 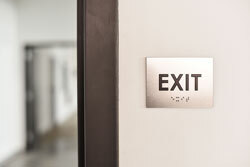 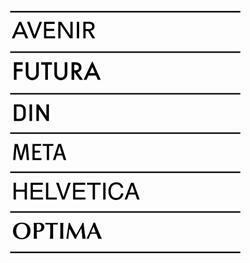 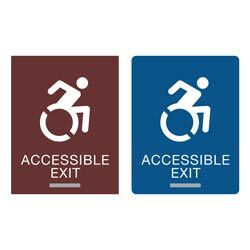 Mark all of the accessible exits in your facility with these 6"W x 8"H ADA braille Exit signs (1/8" thick) with tactile (raised) accessible wheelchair graphic and text with grade 2 braille. 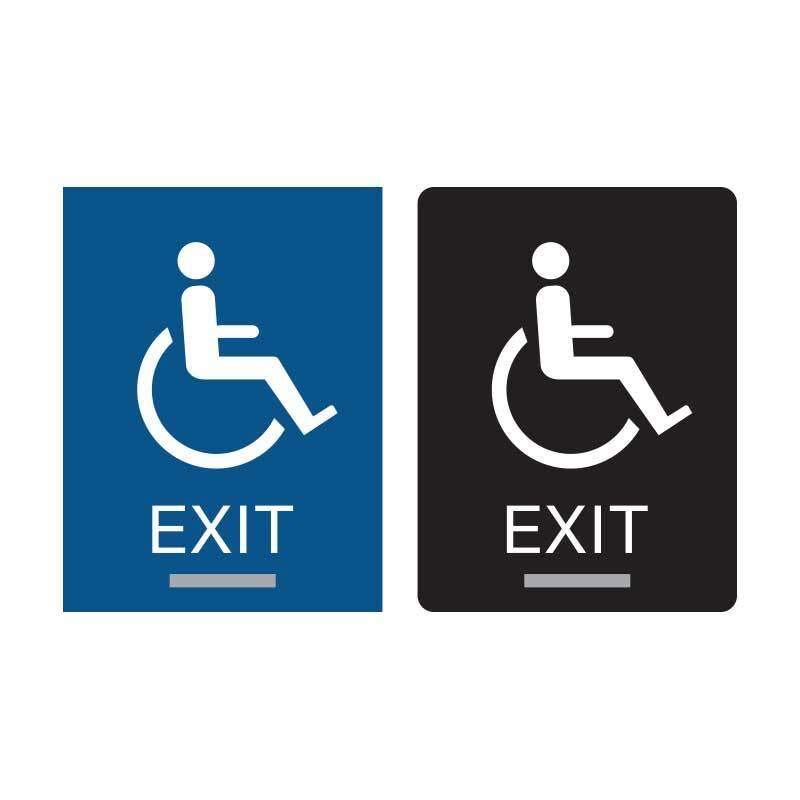 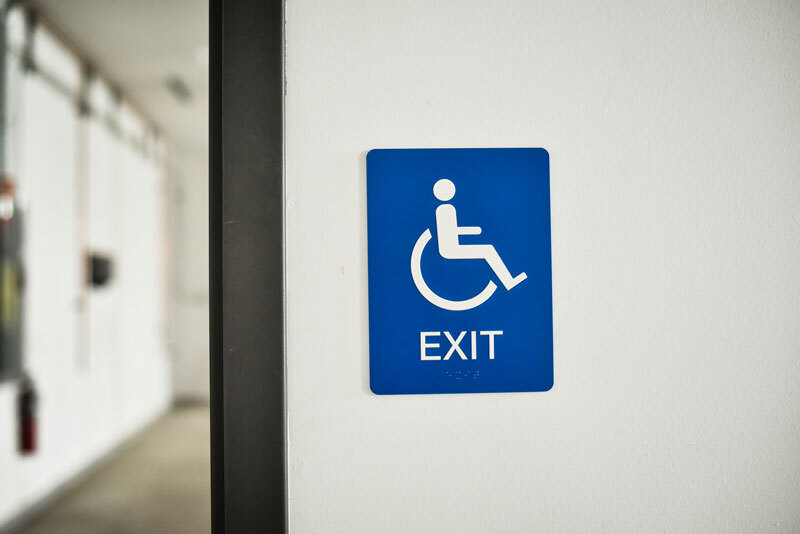 Make it easy for everyone in your medical facility, corporate office building or shopping mall to find your accessible exits with these low profile, ADA compliant braille signs. 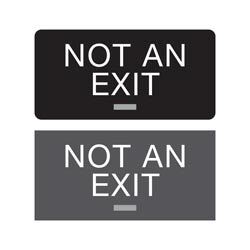 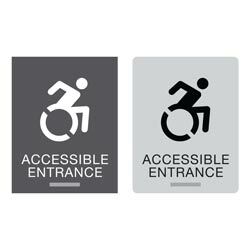 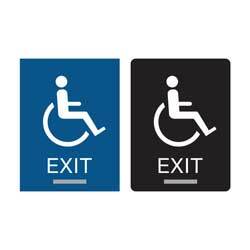 Standard raised text reads "EXIT" with wheelchair graphic (as shown in photo). 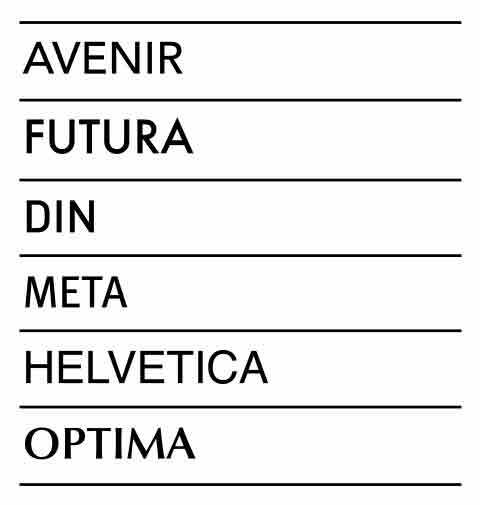 Multiple color combinations are available, along with different types of finishes such as brushed metal and wood grain looking tones.